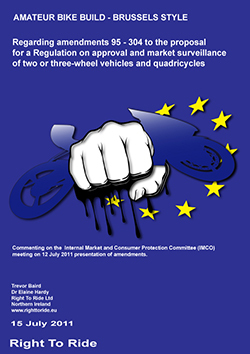 On Tuesday 12th July 2011 the Internal Market and Consumer Protection (IMCO) committee met to consider 298 amendments tabled by MEPs on the European Commission’s proposal – Approval and market surveillance of two – or three-wheel vehicles and quadricycles. Sustainability test – to look at the California test i.e. 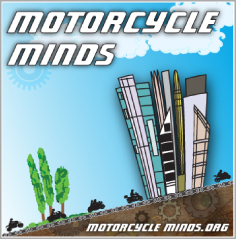 when a motorcycle is manufactured it complies with regulation – emissions and durability i.e. it should say within these regulations for a certain period of time/mileage. The Shadow Rapporteurs, from different EU political groups, Kerstin Westfahl – German MEP and Toine Manders – Dutch MEP, Malcolm Harbour, UK MEP, representing his own group within the EU parliament, gave their views and opinions at the meeting. There are MEPs involved at this stage who appear to have been lobbied especially regarding amateur build vehicles – customising. One of these is Finnish MEP Eija-Riitta Korhole who put forward amendments to include “Unique amateur built vehicles”. There are amendments that delete some of the proposals, others add more complications or try to simplify the proposals, some are outside the scope of the proposals, some are short, some tie up loose ends and some are new. But at this stage the proposal is here to stay, which will see changes for new motorcycles manufactured after a certain date. However we must bear in mind that there is a long way to go, with the amendments to be finalised and voted on in a future IMCO meeting – 5th – 6th October 2011 and then presented to the European Parliament in October to be voted on (date TBC). Depending on this vote, there could be a further legislative process for all to agree. The Chair of IMCO, UK MEP Malcolm Harbour, suggested that this meeting was a start to the discussions, that more time after the parliamentary holidays in August could be made available to discuss the report. Rounding off the meeting the Rapporteur, Wim van de Camp said that he would be spending the parliamentary holidays looking at the amendments to the proposal. We cannot help but be astounded with the volume of amendments but more so with the quality of the amendments from some MEPs which appear to have been included based more on personal belief than on technical expertise. At Right To Ride we wish Mr Van de Camp all the best in trying to get his head around the complexities of the 298 tabled amendments and would suggest a darkened room to help him piece these amendments together (or in some cases, exclude them). 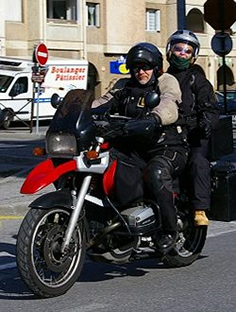 Whether the outcome will be for the good of motorcycling remains to be seen.